HotNewHipHop claims Nike is releasing a pair of special sneakers that honor dogs and their pooper scoopers. 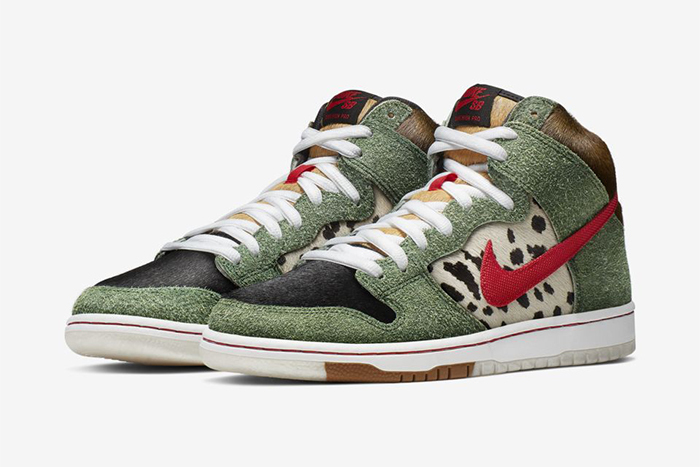 The ‘Big Dunk Dog Walker’ shoes feature a red swoosh, a green body and black-and-white spotted Dalmatian-like sides. One sole is adorned with pictures of dogs while the other has a fake dog poop stain. The shoes are out Saturday and will retail for $110.